When shopping for a new home, there are various important factors that many buyers should keep in mind before making the final call. You need to consider numerous points, such as examine the inside and outside area around the house and determine if space is sufficient for your future family plans. One of the important factors that people need to investigate before finally saying yes is the plumbing status of the potential home and what work is required to be done. Here is a quick checklist of things that every homeowner should know while they are on the home-hunt. If you notice something different happens then take a note of it before you buy. If you feel any of the above three signs it clearly indicates that there is something wrong with the plumbing behind your sinks. To check the status of the home’s hot water simply checks the water heater itself. Just do a survey of the space where the hot water heater is placed and check the area surrounding it. If you think the condition of water heater looks old or you notice there is any leakage in the connections, then clearly it indicates that there is something wrong. Another way out to check for any signs of leakage or if any water is dripping just turn on the sinks and showers of a potential home and pay some attention closely for few minutes then turn off these plumbing outlets. If you find any signs of leaking or dripping, then you need to take care them before moving further with the purchase process of the home that you want to buy. 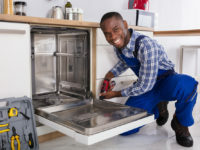 It is always better to get in touch with a reliable Plumbing Repairs Company in Manhattan, NY who are expert enough to make your home’s plumbing air-tight. There is no need to let your home’s plumbing problems to live on. We are here to provide you the ultimate peace of mind in your new home with our professional plumbing inspection services. When & Why Would You Need to Hire a Plumbing Contractor? How Often Should Your Heating System Be Maintained?